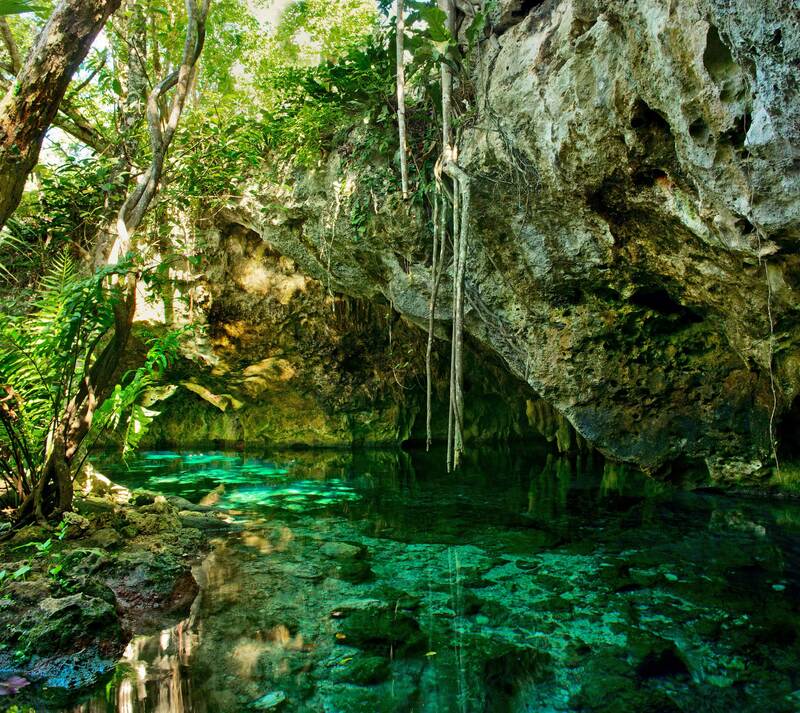 Tulum is full of cenotes – natural pools where you can go swimming, often with caves. Visitors are required to shower before they enter, to keep the water clean of pollutants like sunscreen and bug spray. The cenote itself is a series of caves connected by waterways, so you can swim from one end to another. And there are buoys to hold onto for less confident swimmers. Stay quiet in the caves to spot the bats, which sometimes fly overhead. The water is crystal clear, and you can see fish without having your head underwater. The ruins of the 11th-century walled city are a popular attraction for visitors staying in Cancun and Riviera Maya, so come early to beat the crowds. This massive natural Sian Ka’an Biosphere Reserve is a UNESCO World Heritage site – the area has been home to a Mayan community since 600 B.C. – and it’s absolutely stunning.